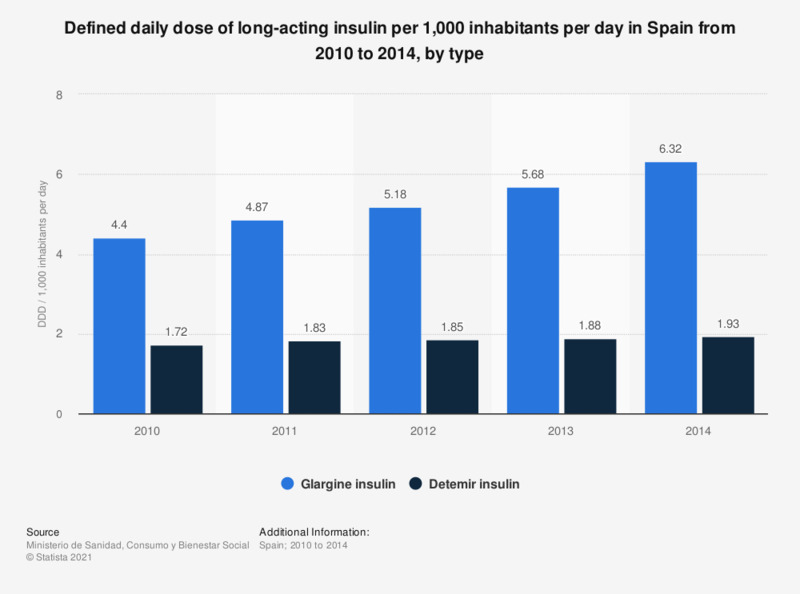 This statistic displays the defined daily dose of long-acting insulin per 1,000 inhabitants per day in Spain from 2010 to 2014, by type. In 2014, the defined daily dose of glargine insulin per 1,000 inhabitants per day was 6.32. Do you know what medicines are you using? If you ever had any doubts or questions about your mental health, who would you talk to?